Sometimes you really have to work it, scratching beneath the surface to get the drift of what an album is really trying to say to you. At other times it comes easy and quickly. Well I have to say that this is one of those ‘work’ type albums, though I’m not saying that is a bad thing either. However it does call for some perseverance and effort. Once that effort starts to pay off it is both a wonderful and rewarding moment, especially when the penny drops and you gain that valuable insight into the music. The whole experience then becomes worthy of the reward and the effort undertaken. 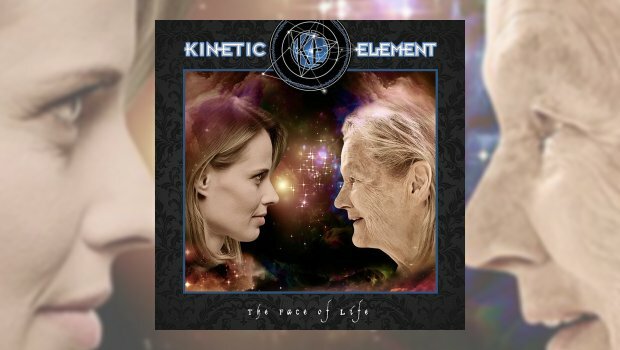 This album, The Face of Life by U.S. proggers Kinetic Element, is certainly a challenging listen, but one that if you stick with it will reward you greatly for your time and investment. Now I realise that the nature of this album may turn some people off, as its semi-christian lyrics and inspiration could be somewhat off putting, after all, we already have Neal Morse’s christian albums, but Kinetic Element come at this from a very different angle and with a far less ‘preachy’ approach, preferring to let their music do the talking. This softer tack acts as a signpost to perhaps a different point of view, which makes the whole issue of faith a far less threatening one, and more of an open debate, which is the aim and possibly opens it up to a far better reception. 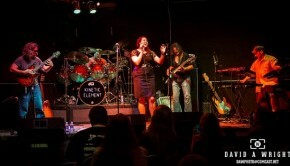 The music is very strong, with some stirring melodies and great musicianship on offer. There are also strong traces of Gabriel-era Genesis and Yes at play here, amongst others. The album opens with Epistle, which is for all the peacemakers and the hatred and hostility they encounter in that role, all whilst striving to bring some balance to things. Opening with drums and some fine solo guitar lines before the vocals come in, where it is revealed that singer Saint John Colman has a clear, distinct voice with phrasing reminiscent of Rush’s Geddy Lee at times, but still making for a very strong delivery. The songs on this album – four tracks in 47 minutes – are all very intricate and fluid with great sound and a clear mix, the bass of Mark Tupko sounding especially fine and having a good presence in the sound. This album is also full of keyboards and the second track, All Open Eyes, has a strident bass line that has a passing similarity to Rush’s Cygnus X-1, and with the fine drums of Michael Murray make this an epic track that lives up to its name. With some great opening a capella vocals before thunderous drums and that bass riff are unleashed, the more you listen the more the dynamics are revealed. Add the fluid guitar and sweet lines of Peter Mutuchniak, with an especially fine solo at the 9:45 mark before a section that is worthy of Steve Hackett, with lots of sustain and what sounds like an e-bow being utilised to fine effect. Next is the title track, The Face of Life. At over 19-minutes it’s the longest, opening with piano and some gentle guitar lines before taking on a more symphonic sound with another clanging bass line to keep it all together. At 3-minutes an urgency is introduced to the tempo before the vocals come in. This song is about how we respond to this life, how we live it, whether or not we appreciate it all, and how we make the most of it and live in the light of that. Yes, it is talking about faith, but in a more reflective personal choice approach rather than merely preaching. Yes, it is a matter of choice – your own choice that is. This song has some very fine synth passages that hark back to the great work of Tony Banks in Genesis and how he layered his keyboard solos, building them layer by layer. This song has those type of elements at play here, and sounds all the better for it, Mike Visaggio’s playing throughout this song – and the album – is very fine indeed. The song closes with a short guitar solo from Peter where he really lets fly, the final verse calling us all to find the way. It’s a very impressive song with great performances from all. The last song, Last Words, has a hymn-like quality, being mainly played by keyboards with light percussion and a clear voice from Saint John Coleman, a much shorter piece to bring the album to closure. So there you have it, an interesting album, certainly not an easy one to listen to but one that if you stick with it will pay out with its very mature themes and its intelligence, a real test fore most Prog listeners, but one that I think has much to recommend it, indeed Neal Morse fans will certainly find much to enjoy herein. Personally, I found I had to stick with it until I broke through the wall, but having done so I can say that this is a very worthy album, and a very well produced one too, with great vocals, bass and guitars, and with Mike Visaggio’s keyboards providing the icing on the top. A great album, one to really think through as you listen to it. I realise that the nature of the lyrics may not be to everyone’s taste and that you might disagree with much of what is sung, but I would suggest that you give it a chance otherwise you’ll miss out on some very fine music indeed.